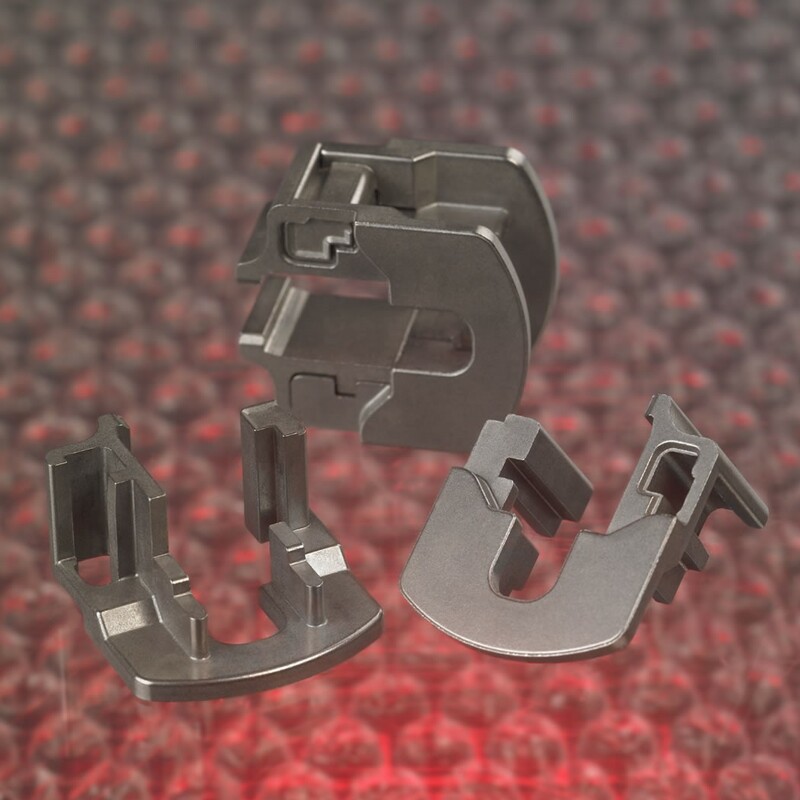 A Grand Prize in the Hardware/Appliance Category of the 2009 Powder Metallurgy Design Excellence Awards Competition was presented to ASCO Sintering Co. for a lockset retractor assembly. The assembly functions as the heart of the mechanism in a heavy-duty door lockset system. Its 3D puzzle design of two identical halves not only satisfied various functional force-transfer modes and geometry requirements, but allowed ASCO to partner with equipment suppliers to develop a pick-and-place “green” stage assembly from two consecutive parts that allowed the customer to remove an entire riveting sub-assembly line at an annual cost savings of $250,000. The “single jaw” design easily withstands the required 500-pound force load and a 100-pound axial pull. Made to a net shape, the assembly has a density of 6.7 g/cm3, 60,000 psi tensile strength, 125,000 psi transverse rupture strength, and a fatigue limit of 23,000 psi.